A cataract is a condition in which the lens of the eye becomes progressively opaque resulting in reduced vision. There are many causes of cataract formation, the main one being age related. Other causes include trauma, medications and systemic conditions such as diabetes mellitus. There are no medical treatments to either prevent or cure cataracts. Once a cataract is present it will continue to develop and cause increasing difficulty with vision. When the patient feels this difficulty is significant enough to warrant intervention then surgical removal of the cataract is required. 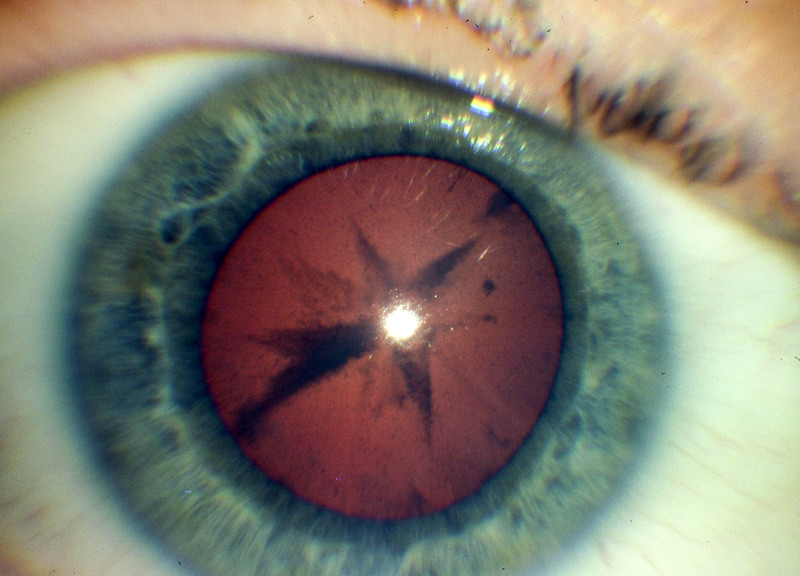 Many years ago the cataract was not removed until it was “ripe” or “mature”. 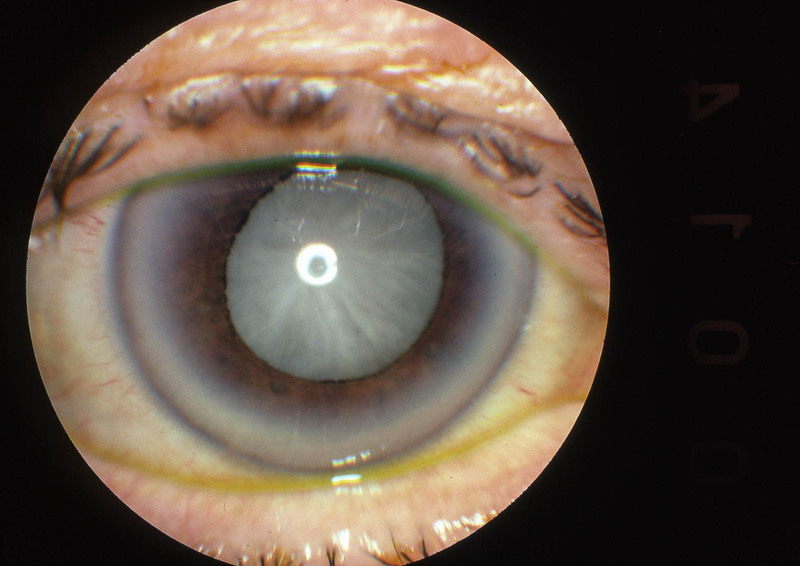 This was because the methods of cataract surgery were not consistently safe. Nowadays cataract surgery is extremely safe and hence surgery is offered once the patient feels he/she wishes to improve her vision. Mr. Raines has performed many thousands of successful cataract operations. This information will help you decide whether to have cataract surgery. You might want to discuss it with a relative or carer. Before you have the operation, you will be asked to sign a consent form and so it is important that you understand the leaflet before you decide to have surgery. If you have any questions, you may wish to write them down so that you can ask. Your eye surgeon has recommended cataract surgery because the lens in your eye has become cloudy making it difficult for you to see well enough to carry out your usual daily activities. The purpose of the operation is to replace the cloudy lens (cataract) with a plastic lens (implant) inside your eye. If the cataract is not removed, your vision may stay the same, or it may get worse. Waiting for a longer period of time may not make the operation more difficult, unless your eyesight becomes so poor that all you can see is light and dark. 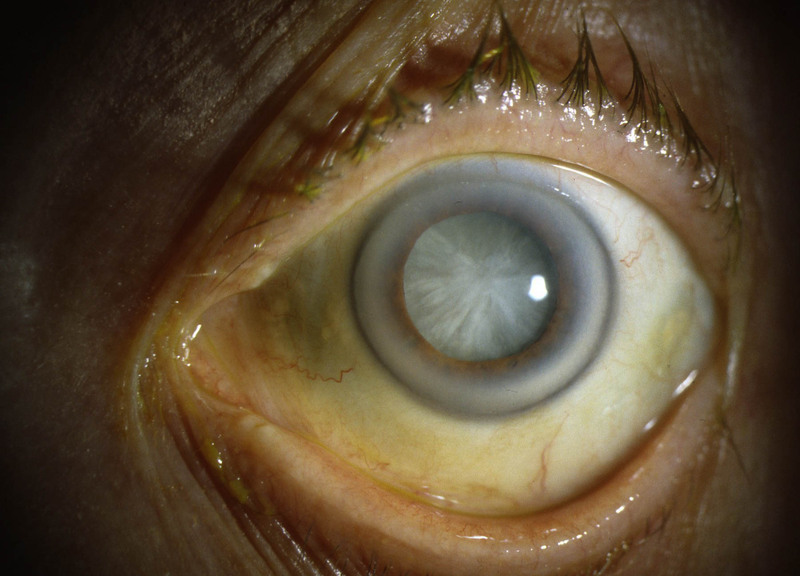 It used to be common to wait for the cataract to become ripe or mature before removing it. This is no longer the case today and the decision to remove the cataract is based on the patient’s choice and particularly whether the cataract is having any untoward effect on the patient’s vision or lifestyle. Mr M F Raines will perform the operation. You will be lying down with both eyes open. With a local anaesthetic you will be awake during the operation. You will not be able to see what is happening, but you will be aware of a bright light. 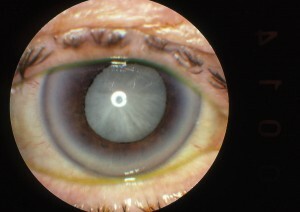 Just before the operation, you will be given eye drops to enlarge the pupil. After this, you will be given an anaesthetic to numb the eye. This may consist of eye drops or injecting local anaesthetic solution into the tissue surrounding the eye. During the operation you will be asked to keep your head still, and lie as flat as possible. The operation normally takes 15-20 minutes, but may take a little longer. Most cataracts are removed by a technique called phacoemulsification. The surgeon makes a very small cut in the eye, softens the lens with sound waves and removes it through a small tube. The back layer of the lens or capsule is left behind. An artificial lens (implant) is then inserted to replace the cataract. Sometimes a small stitch is put in the eye but this is very rare. At the end of the operation, a clear shield will be put over your eye to protect it. If you have discomfort, we suggest that you take a pain reliever such as Paracetamol every 4-6 hours (but not aspirin – this can cause bleeding). It is normal to feel slight itching, slight sticky eyelids and mild discomfort for a while after cataract surgery. Some fluid discharge is common. After 1-2 days even mild discomfort should disappear. In most cases, healing will take about two to six weeks after which new glasses can be prescribed by your optician. You will be given eye drops to reduce inflammation and try and prevent infection. The clinic staff will explain how and when to use them. Please don’t rub your eye. After the operation you may read or watch TV almost straight away, but your vision may be blurred for 48 hours. The healing eye needs time to adjust so that it can focus properly with the other eye, especially if the other eye has a cataract. Please note that if you have another eye condition such as diabetes, glaucoma or age-related macular degeneration your quality of vision may still be limited even after successful surgery. The most obvious benefits are greater clarity of vision and improved colour vision. Because lens implants are selected to compensate for existing focusing problems, most people find that their eyesight improves considerably after surgery but will still need to replace their glasses. 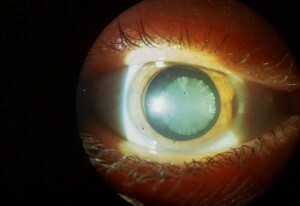 Posterior capsule rupture +/- vitreous loss – tearing of the back part of the lens capsule with disturbance of the gel inside the eye that may sometimes result in reduced vision. Ghosting of image or double vision – perhaps more common if you are short sighted or long sighted pre-operatively and we attempt to make you more normal sighted. This may be due to imbalance of the eye muscles. Occasionally the new implant itself can go cloudy, although this is rare. This can reduce the vision and will require lens exchange surgery. Foreign body sensation causing mild irritation that may require increased frequency of drops. Complications are rare and in most cases can be treated effectively. In a small proportion of cases, further surgery may be needed. Very rarely some complications can result in permanent blindness in the operated eye . 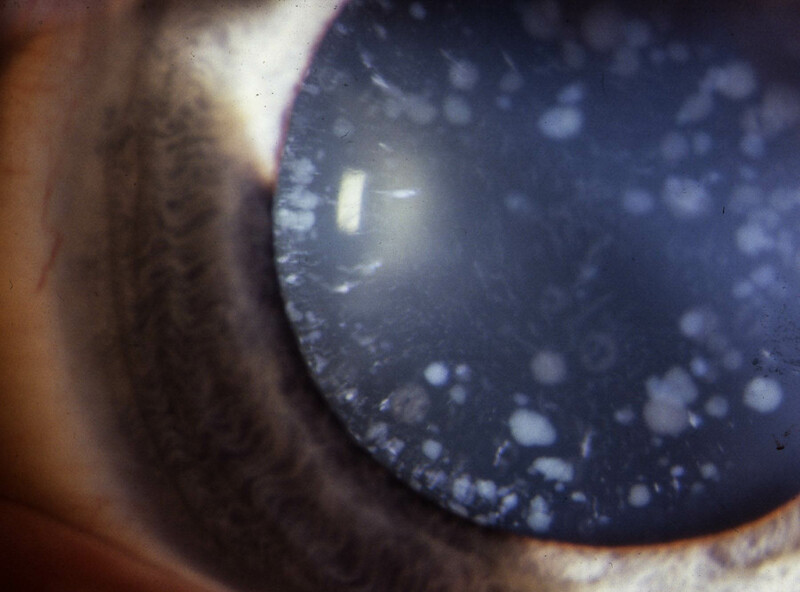 The most common ‘complication’ is called “posterior capsular opacification”. This prevents light from reaching the retina, and causes reduction of vision. It may come on gradually after months or years. When this happens, the back part of the lens capsule, which was left in the eye to support the implant, becomes cloudy. This prevents light from reaching the retina. To treat this, the eye specialist uses a laser beam to make a small opening in the cloudy membrane in order to improve the eyesight. This is a painless outpatient’s procedure which normally takes only a few minutes. Please write down any further questions to ask the doctor or nurse when you come to the clinic for your appointment. Don’t worry about asking questions. Our staff will be happy to answer them. It is important that you attend all post-operative appointments.